The Around and Fine model are available in two colours, silver and gold, while the Q model is only available in silver. Each individual NDV hotel electronic hotel lock set comes with a robust lock and a metal door handle and is equipped with a RFID contactless Mifare card reader built in under the plastic housing on the front side. 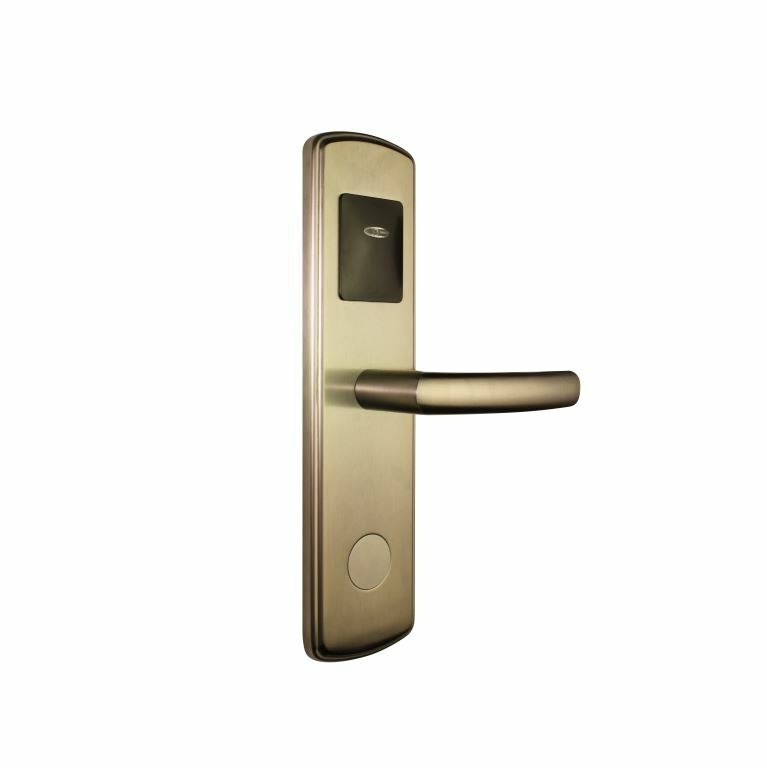 This type of access control is not only suitable for hotels, but can also be used in office buildings, in certain areas of commercial buildings, student dormitories, apartment buildings, retirement homes and even in private villas. 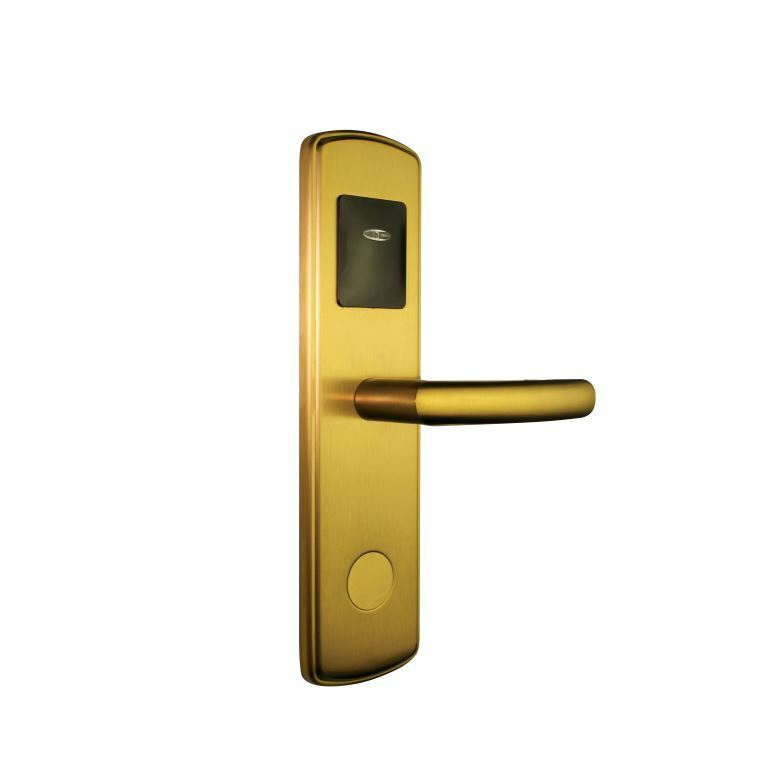 It is suitable for everyone, who wants a detailed access control overview of people, who have access to certain areas, or for all who, want to restrict access to parts of the building. Due to contactless technology the system does practically not wear down. By holding the card next to the electronic lock, the lock will detect the right card and unlock the door. All hotel electronic door locks are autonomous units powered by standard AA batteries. They are immune against alternating supply voltage or electricity blackouts. In cases of unpredictable events, the comfort and safety of hotel guests are not endangered. 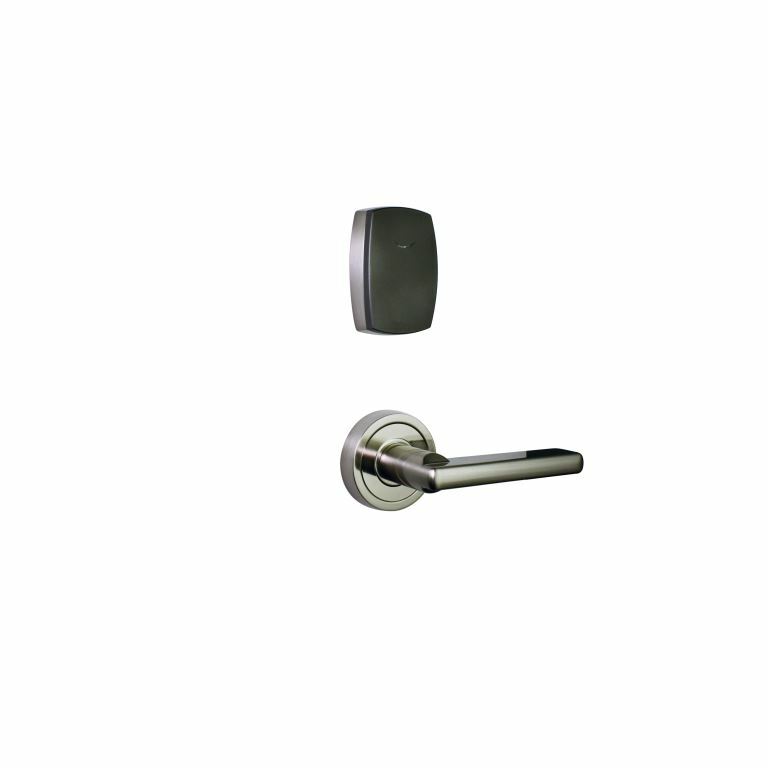 The micro motors, integrated in electronic locks, are extremely reliable and have low energy consumption. Therefore, the hotel door locks do not need to be wired to a power supply and can be powered by batteries, which last for approximately one year before they need to be recharged. All locks come with an “anti panic” function which enables quick opening of doors from the inside at any time, even if the doors are locked. A quick and strong press on the door handle releases the mechanic bolt on the inside and the door can easily be opened. This is especially useful in cases of emergency. Each hotel electronic lock is programmed for one specific room, while the guest cards are programmed for one specific lock. If the hotel room door is locked from the inside, not even the maids can enter the room. The only card, providing access to all rooms at any moment, is the administrator’s card which is used only in cases of emergency. For additional safety, each lock comes with a set of two identical keys (basic and back-up key), which can unlock the door in case all other systems fail. In order to unlock the electronic lock with a key, one must first remove the plate, covering the lock on the outer side of the door. All electronic hotel door locks come with an anti burglar bolt that makes it impossible to put a flat object between the lock’s mechanism and the door frame and prevents break-ins into hotel rooms or other areas of hotels and office buildings. The system card and the software, used for the programming of locks and Mifare cards, can also reveal information about the last 200 entries into the hotel room. The new lock models are fully compatible with the Andivi 360° Solution for Hotel Rooms for hotel rooms with intelligent hotel room at its core. 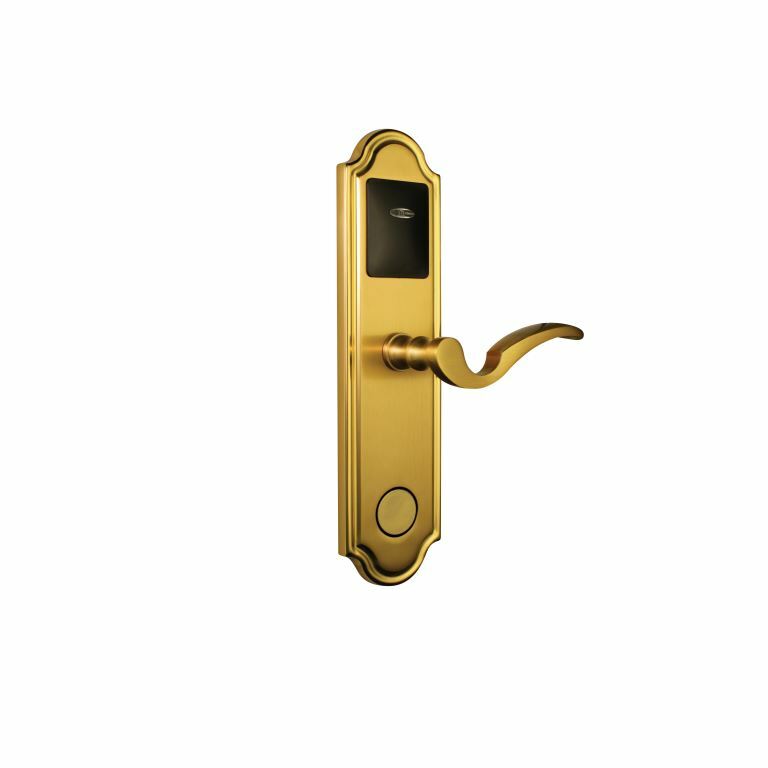 Electronic door handles or electronic locks from the NDV series are made of robust metal with an elegant matte finish and high-quality plastic material and are durable and attractive. 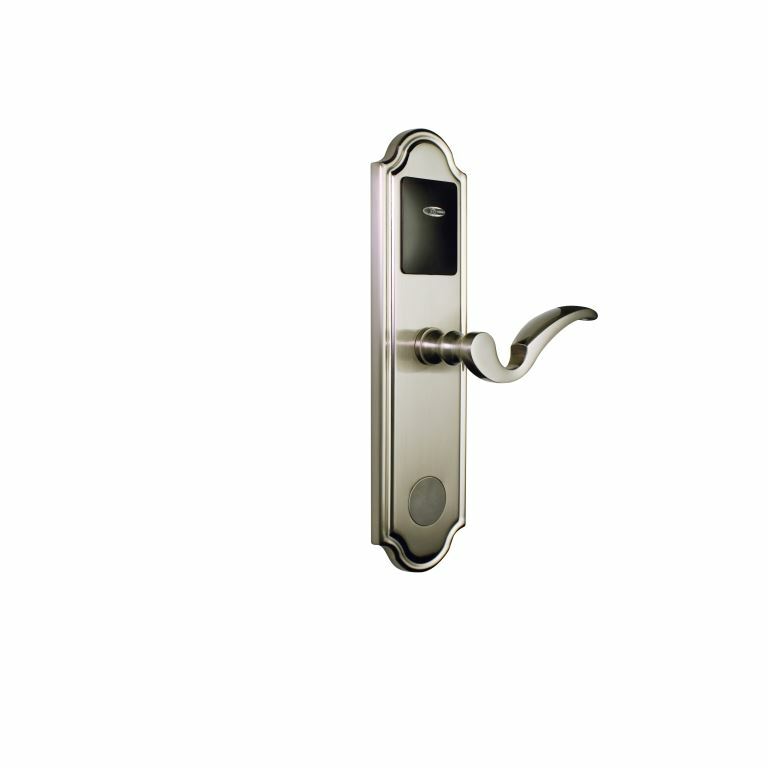 We offer 5 models of electronic door locks with a simple or complex design. We do not doubt that you will find the right ones for your project.